A tale of two cities? 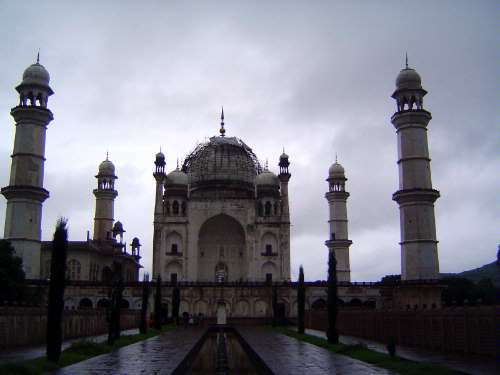 Here are two towns, the historic Aurangabad and its contemporary, ambitious successor. 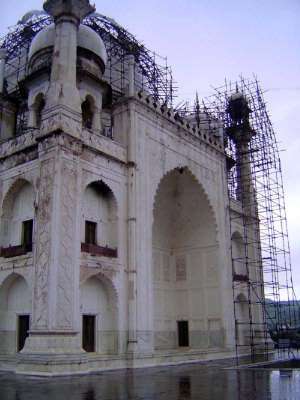 Restoration work has been going on for a very long time. 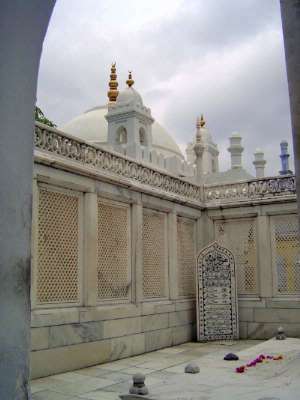 Unlike the marble-clad Taj, this tomb is mostly plaster-clad. 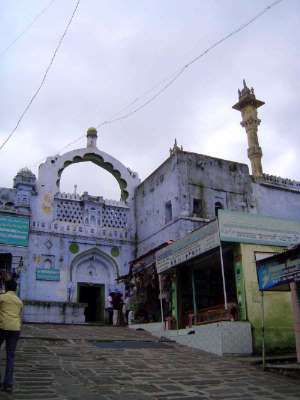 A mosque stands to the west, facing Mecca. Farther west there's the semi-wreck of a town called Rauza. 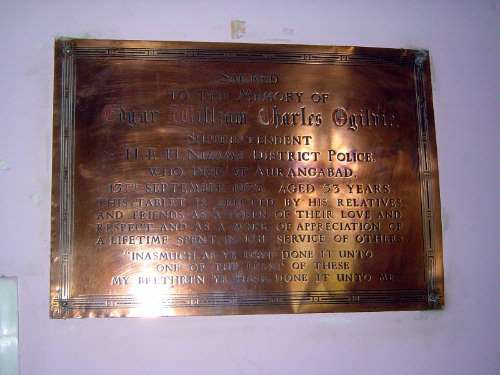 It's alternatively called Khuldabad, or Heavenly Abode, which seems wildly inappropriate, but the town was once the karbala or favored burial place of Muslims across peninsular India. Here's the entrance to its most important graveyard. 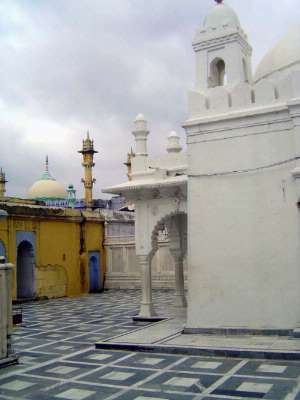 The central tomb here is that of Saiyad Zain-ud-din, who died in 1370. The structure is much later, built by one of his disciples, but it became a magnet drawing the faithful. 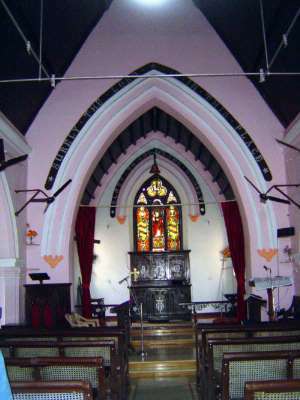 Notice the jalis, or carved screens behind it? A closer view. 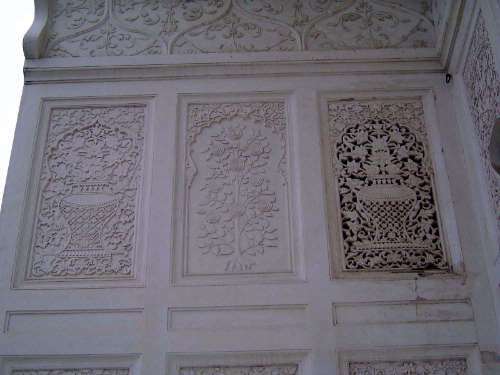 They enclose the tomb of the last of the great Mughals, Aurangzeb. Plain as it seems, even these screens would have annoyed the emperor, famously conservative in his faith. 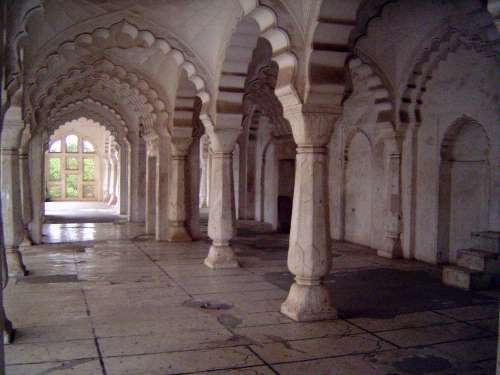 The screens, it turns out, were added in the 20th century by Lord Curzon and the Nizam of Hyderabad. Aurangzeb registered no perceptible complaint. Auraugzeb died in 1707, at 89. 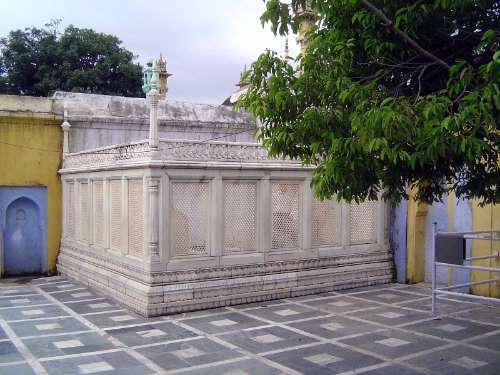 The Alamgir-Nama explains that, "According to the will of the deceased king, his mortal remains were deposited in the tomb constructed during his lifetime near the shrine of the holy Shaikh Zain ud din (on whom God have mercy!). 'Earth was consigned to earth, but the pure soul survived.'" 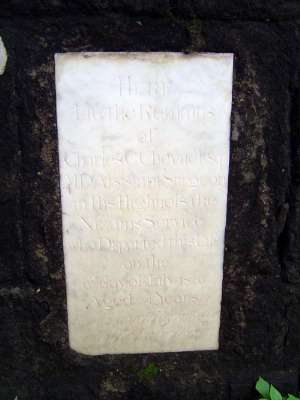 The same text describes the grave this way: "A red stone three yards in length, two in width, and only a few inches in depth, is placed above the tomb. In this stone was hollowed out, in the shape of an amulet, a cavity for the reception of earth and seeds; and odoriferous herbs there diffuse their fragrance around" (7:47). Today, a cloth covers the site. Fergusson, usually so shrewd, was an oddly unsympathetic visitor. 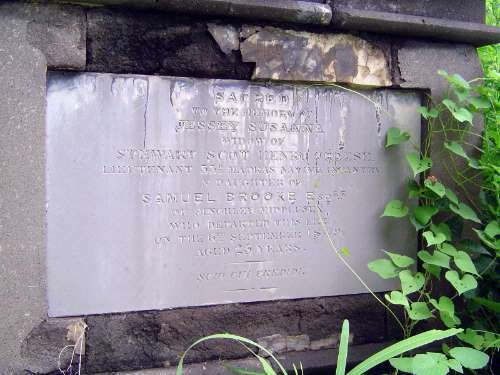 He wrote, "The spot is esteemed sacred, but the tomb is mean and insignificant beyond what would have sufficed for any of his nobles. He neglected, apparently, to provide for himself this necessary adjunct to a Tartar's glory" (ii, 322). 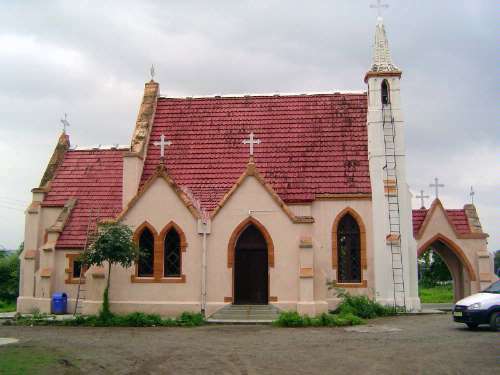 Aurangabad had a British cantonment, which meant that it had a European cemetery. 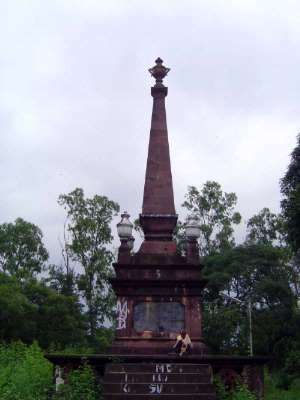 Some of its monuments are grand in the style of the early 19th century. Here's one. 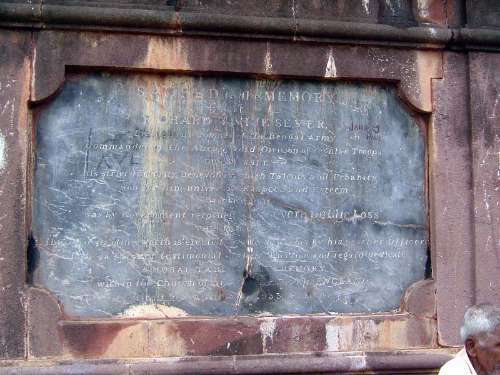 Dated 1833, it marks the grave of a lieutenant colonel in the Bengal Army and commander of the Aurangabad Division. The phrasing is eloquent but highly formulaic, referring to a "strict integrity, benevolence, high talents, and urbanity" winning "universal respect and esteem." A simpler stone: a doctor dead at 24. A widow dead herself at 26. Late in the day: a memorial from 1933. Meanwhile the living live. 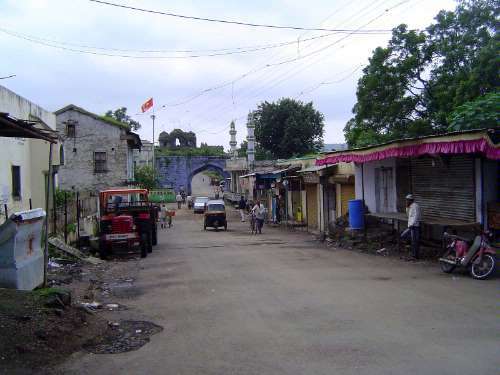 Aurangabad was established as a town in 1610. Three hundred years later is was described as a thriving place, though its population was less than 40,000. What to call it now, when it has 1.4 million? In the United States, that would make it a metropolis. 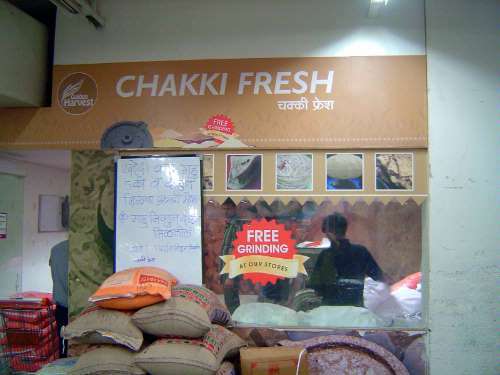 In India, it's a third-tier city. 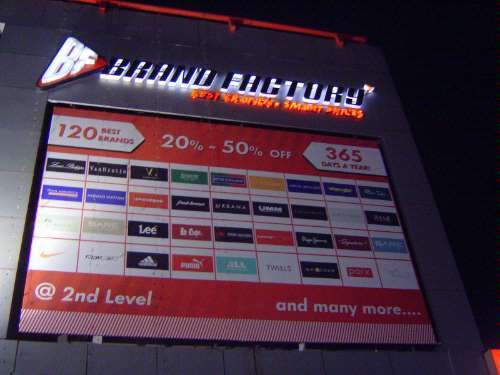 Still it has its ambitions, some of them stuck on the wall of this new shopping center. 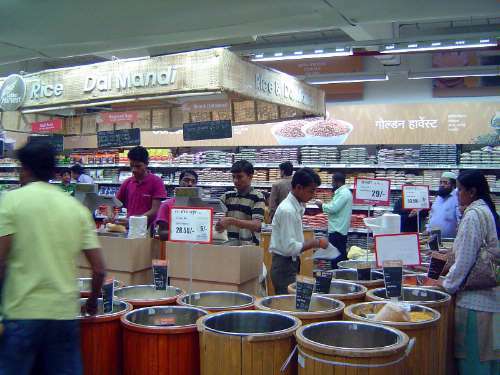 The New York Times published a story on October 23, 2010, about a group of 150 Aurangabad businessmen deciding to make a single purchase of 150 Mercedes-Benz cars--combined price, $15 million--simply to tell the world that the city was open for business and not mired, as the newspaper put it, in "crumbling Mughal-era ruins and ancient Buddhist caves surrounded by endless parched acres...."
Inside the mall, there is a supermarket with its own grain shop. 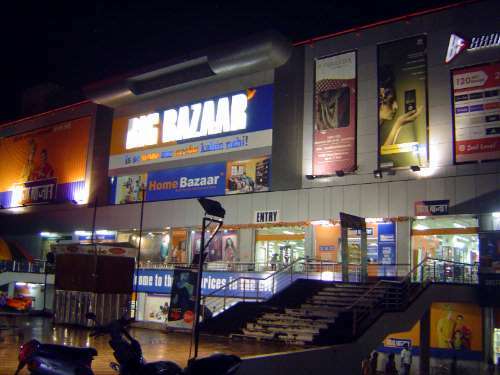 Big Bazaar, by the way, is a chain, its owner a fan of Sam Walton. At your service: mills that grind by request.